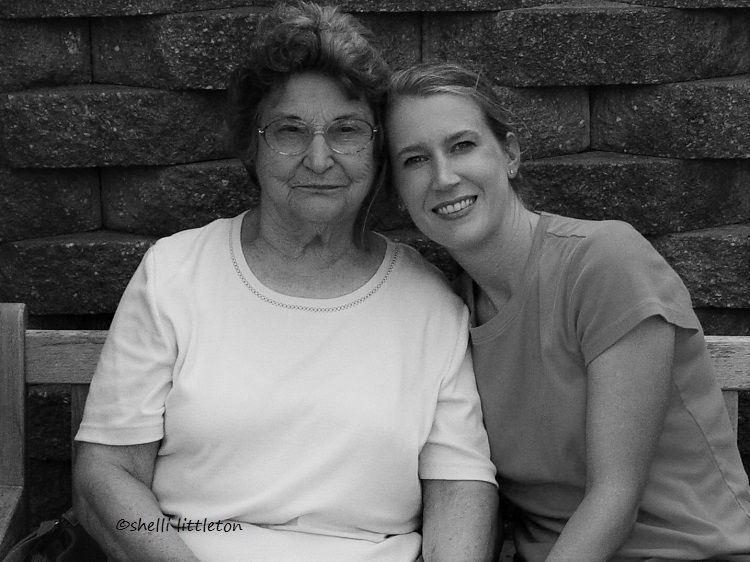 Wow, Shelli…you were so blessed to have a grandmother like that, and I am so sorry for your anguish. Interesting topic for me, as my situation has taken a definite turn for the worse. Or, worst! But I have duties still, and the message I get from the Almighty is that I'm expected to crack on; what I DO is important to Him. I'd elaborate, but am not well enough to think through this any more. Andrew, I was so blessed to have a grandmother like her. And I really cherished her. And I'm super blessed to call you friend, too. You crack on. Don't stop. And I know you won't if you have any say in the matter. Father God, give Andrew strength, weave a miracle through his body. In Jesus' name. Amen. Loved your pictures and description of your precious grandmother. Made me remember mine–even down to the Bengay and Pond's cold cream. And ohhh, yes, do I understand the need to stop being Martha, and let Him tell me it's okay to be Mary for a few minutes. Beautiful and tender and so needed, Shelli. I tend to go to one extreme or the other when hurting–curling in a ball and crying out to Jesus or becoming a too-busy, self-reliant (and sometimes self-righteous) Martha. Lord, help us to be Marys! Amen, Becky. You are so sweet. Today, I was in Barnes & Noble … I took a sneak peek into Cynthia Ruchti's book and saw your name in her acknowledgements. So sweet. Made me so proud.